CGI and video games: computer generated images (or, at least, computer interpreted images) are, by definition, the visual recipe for every video game we play and part of what makes games one of the most complex and captivating forms of entertainment on the planet. From great stories and characters to awesome gameplay and sound design, there are numerous reasons why video games are a part of more people’s lives than ever before. But if there’s one aspect of games that has evolved the most over time, it’s the element many care about most — visuals. For as long as video games have been around, people have gravitated towards games that are not only fun to play but also look amazing. In fact, even the film industry is now studying how game developers create realistic graphics and movement to tell a story. Of course, much like movies themselves, games have gone through an evolution in becoming the visually jaw-dropping experiences they are today. And CGI has played a major role in the evolution of game visuals. In the beginning, or the early ‘70s, all you had was a few white pixels over a black screen. Although Pong wasn’t officially the first video game ever made, it was one of the earliest arcade games to become popular across the globe. Other games like Midway’s Boot Hill and Gotcha only used black and white computer-generated images, but this was enough at the time to fill arcades. The success of these black-and-white titles led to a desire for more attractive visuals and shapes. Namco’s Galaxian astonished gamers everywhere in 1979 with its brightly colored ships, and a year later the enormously popular Pac-Man arrived. Developers would continue pushing the limits of the video game consoles at the time to deliver games that were a joy both to view and play. In 1985 a little game called Super Mario Bros. jumped onto the scene, almost single-handedly resurrecting the video game industry after a devastating market crash. At the same time, games like Street Fighter II, Teenage Mutant Ninja Turtles, and Strider revived arcades as a social and game hub. Revolutions in memory, storage capacity, and graphics cards/ screen resolution allowed these games to offer more vibrant colors and diverse shapes than ever, leading to improved user experiences. The increased hardware power of systems like the Super NES and Sega Genesis also inspired developers to create jaw-dropping visuals for their time. Games like Chrono Trigger, Sonic The Hedgehog, and Super Metroid are to this day considered masterpieces of an era when designers were able to craft charming worlds and atmospheric places with sprites alone. While 2D graphics still have their fans to this day, the mid-‘90s are arguably the period of greatest CGI advancement in video games. Increased power in the average home computer gave developers the freedom to use tricks to simulate 3D. One of the games to do this best was the critically praised Doom, a pioneer in perhaps the most popular genre today: first-person shooter. True 3D graphics finally took over in the mid-’90s with the release of the Nintendo 64 and PlayStation. With these consoles, gamers could truly begin exploring fully-3D worlds. There was nothing more incredible than seeing Mario jump, fly, and slide in Super Mario 64, the first successful 3D platformer. Games like PlayStation’s Crash Bandicoot and PC-favorite Quake continued pushing CGI in games until developers needed better hardware to take things further. The jump from 2D to 3D still stands as the most significant advancement of CGI in video games. Ever-improving technology in the early 2000s opened the door to head-turning games like Halo: Combat Evolved, Grand Theft Auto III, and Metroid Prime. Never before were video game visuals so capable of creating environments that sucked players in and made them feel like part of the virtual worlds. Today, 3D continues dominating the industry as games become more and more realistic. 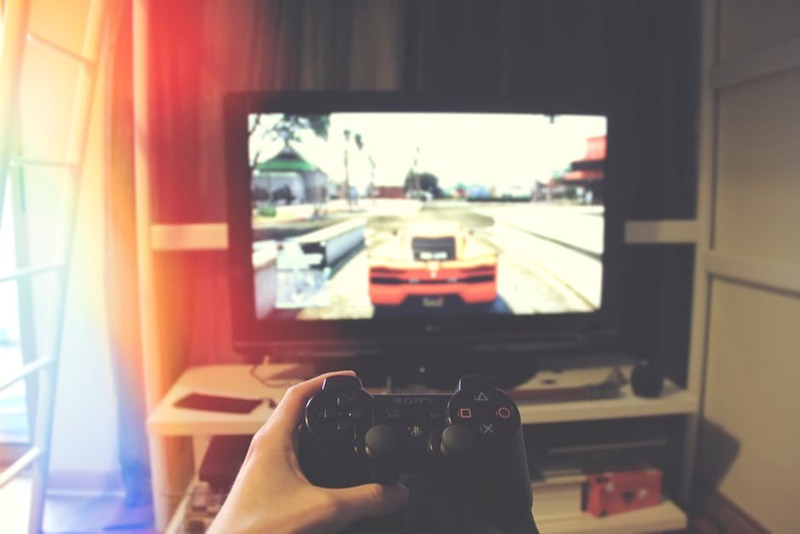 The latest video game consoles allow for the best cinematic realism ever to grace the industry, while computer users are able to constantly boost their system’s graphics capabilities. With the advent of virtual and augmented reality, there’s no telling where video game CGI will go next. What are your favorite video games visuals? Let us know in the comments below!